Save and Invest is a user generated portal which allow fellow consumers to post best tips to save money. 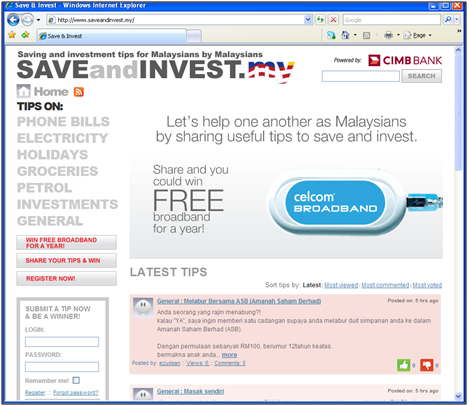 The site is sponsored by CIMB Bank. The campaign ran until end of December 2008. The website is developed using ME-Tech web development platform, with key components like the content publishing workflow management, forum, blogging feature, voting engines.